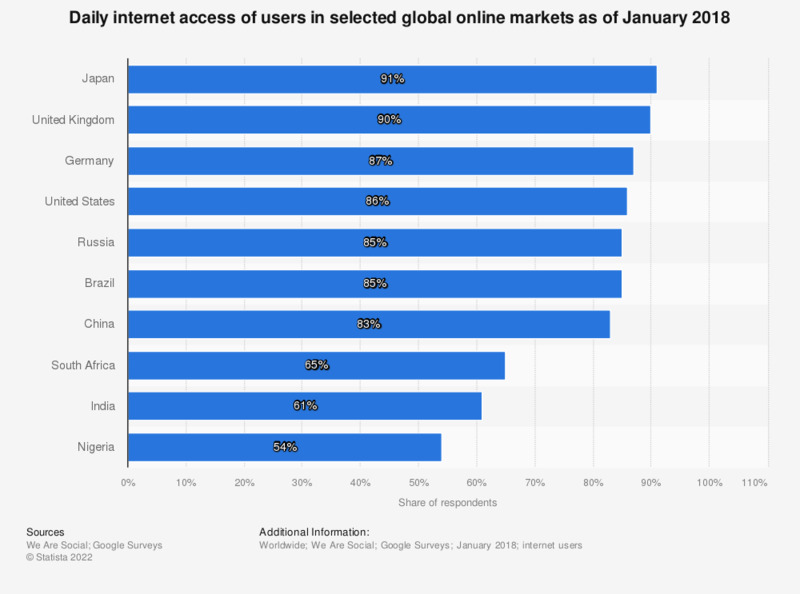 This statistic gives information on the daily internet usage rate of online users in selected global markets as of January 2018. During the survey period it was found that 87 percent of respondents from Germany stated they went online on a daily basis. How strongly do you agree or disagree with the following statement, "My business relies on the internet"?